Features: Heavy weight. Full Cushioning. 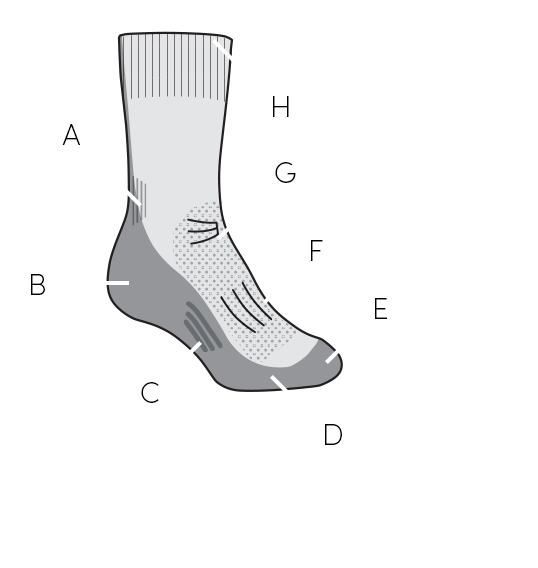 For long days on the trail, few things can beat a good, sturdy, cushioned pair of socks. And when you're wearing the Women's Hike Basic Heavy Crew, you've got durable, firm cushioning combined with Merino's unmatched ability to regulate temperature, fight bacteria, and keep your feet happy. Boots never felt this good!